20 Aug A reversal of fortune for WA producers. The first quarter of 2018 was characterised by above normal price behaviour for many categories of lamb and sheep in Western Australia when compared to the Eastern markets. However, uncertainty surrounding the live sheep export trade has seen the situation reverse since April, placing WA producers at a distinct price disadvantage to their Eastern neighbours. In early April disastrous footage of a live sheep export vessel from 2017 aired on commercial TV prompting a government review of the trade, undertaken by Dr Michael McCarthy, that was delivered in May. After the McCarthy review, some recommendation were put in place immediately and others have been scheduled for further investigation. In June, the exporter identified in the footage had their license suspended and another exporter announced they would temporarily cease exporting from Australia after considering the new export requirements put in place from the McCarthy review. These two companies are recognized as the top two exporters of live sheep from Australia and the result of their exit left sheep stranded in transit in WA and producers in a bind. Analysis of the price relationship between categories of WA lamb and sheep compared to their Eastern state counterparts shows that after experiencing above average prices for much of the first quarter of 2018 the spreads have been in steady decline since April. WA Trade Lamb dropped from a 50ֶ¢ premium to the ESTLI in April to a 125¢ discount by the end of July (Figure 1). The reversal in spread behaviour for WA categories for lamb and sheep wasn’t confined to trade lambs. WA Restocker Lambs have dropped from a 50¢ discount spread in April to a 300¢ discount spread, WA Light Lambs declining from a 25¢ premium spread to a 170¢ discount and WA Heavy Lambs from a 50¢ premium spread in April to nearly a 150¢ spread discount during July (Figure 2). WA mutton also experienced a significant turnaround in spread behaviour across the April to July timeframe with a widening in the discount spread by over 200¢ (Figure 3). Indeed, for nearly all categories of WA lamb and sheep, the spread has transitioned from trending above the normal seasonal range to languishing below the normal range as the situation for live export sheep out of WA became more uncertain. *In recent weeks the team at Mecardo have become aware of suggestions that our live sheep export analysis and reporting has been funded by live exporters and is therefore biased. This is incorrect. Our analysis is backed by data from trusted sources, like MLA, ABS, ABARES, etc, and Mecardo website publications are not funded by anyone other than our subscribers. In late April Mecardo were commissioned by WA Farmers (WAFF), with the support of Sheep Producers Australia, to produce a short report on the live sheep export trade. The report was clearly labelled as to whom funded the project and is available on the WAFF website. For the record Mecardo has not received any payment from live export companies, nor their representatives, for any live sheep export related analysis or report produced. The reversal of fortune for WA sheep and lamb producers certainly coincides with the timing of all the uncertainty around the live export trade. In terms of annual offtake in WA live sheep exports contribute around 30% of the available outlet for turnoff and the disruption to the trade, with the two biggest exporters not currently participating, seems to be having an impact on prices and spreads. WA markets for lamb and sheep have seen price spreads between Western and Eastern markets turn unfavourable for WA producers since the start of the live sheep export issues in April 2018. 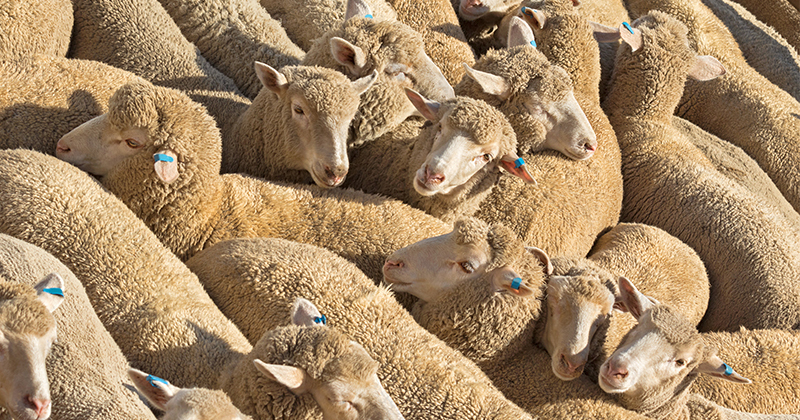 MLA reported categories of WA lamb and sheep have seen saleyard price spreads move adversely for WA producers by an average magnitude of over 200¢ from April to July.